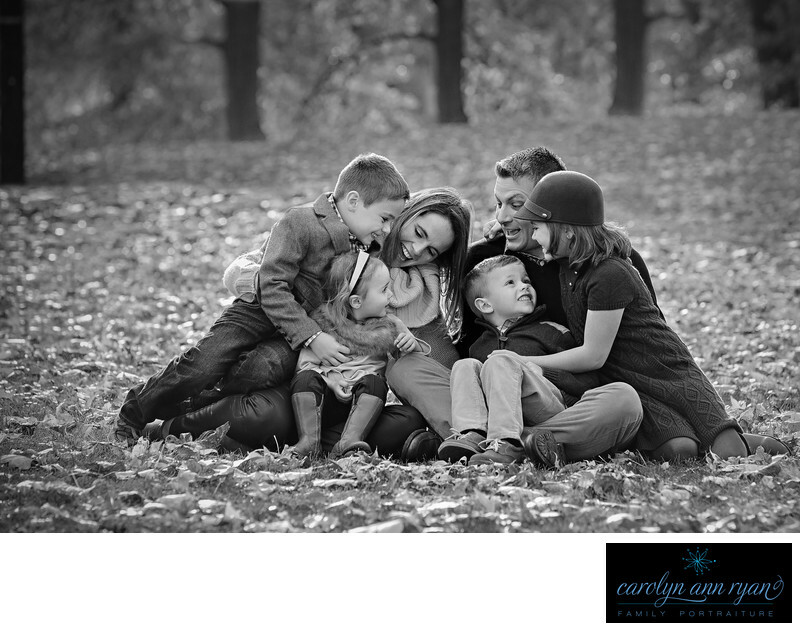 I absolutely love that so many of my clients have a wonderful big families. I am always in awe of mothers of three, four, five and six children and I have no idea how they can possibly manage a day as I struggle being a mother with just two children. And even more, I absolutely love how close knit these larger family seem to be and the siblings wouldn't trade the being part of a large family for anything in the world. Each member of the family brings something so unique to the family dynamic whether it's the oldest child who is so incredibly sweet and responsible to the little boy with his giggles and grins or maybe it's the mischievous little girl who has completely stolen the hearts of everybody else in the family. These families know that their life would not be complete without every single person. While I love posed family portraits and I always strive to deliver to a photograph of everyone looking at the camera smiling, I also can't resist a family portrait that shows how connected and how close every member of the family is and how much they need each other and how much they truly love each other. And I love that this photograph didn't just stand out to me, but it also captured the heart of Mom and Dad. It represents everything they love so much that they hung a beautiful 40 x 30 canvas print of this image on the wall in their home. They just loved what this moment captured. This is what being a family is all about - being together. This photograph earned a Silver Award in the Wedding and Portrait Photographers International (WPPI) Second Half 2015 Image Competition.Keywords: Autumn (117), b&w (51), black and white (54), Charlotte NC (180), Fall (129), Family (171), Family Portraits (159), foliage (33), Janie & Jack (15), sweaters (57), Together (6). 1/250; f/5.6; ISO 400; 160.0 mm.